Today we're pleased to fulfill our most common feature request: the Timer. 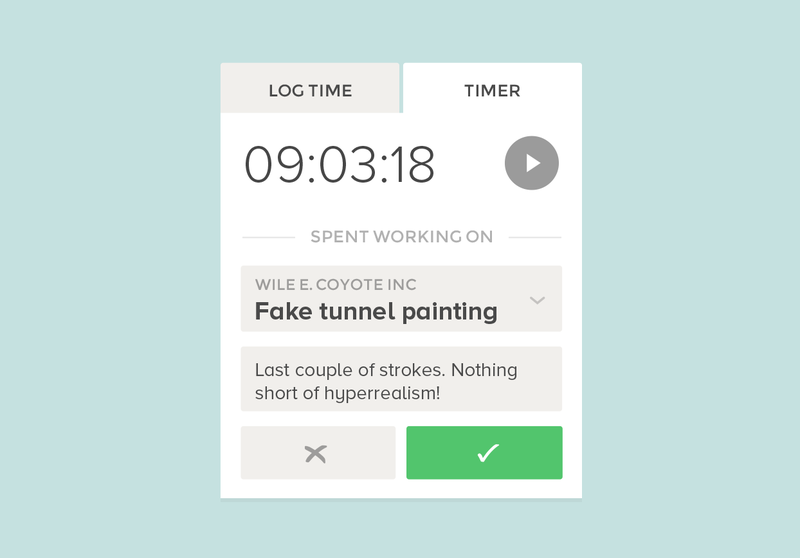 It's now possible to start, pause, and stop a running timer to keep track of your minutes and hours. Everything is in sync across your different browser windows and computers, so there's no need to keep browsers open for the sake of preserving the timer. We've placed it in a tab of its own within the Log box, which makes it easy to switch between the new feature and the manual entry. If you're a real hustler, you can even keep the timer running while logging hours manually. When you submit your time, it'll be automatically rounded up to the nearest 5 minutes. If you need a more precise result, you can either edit the entry afterwards or log it manually based on the timer.